It has been brought to our attention that people are being contacted via Facebook or emails purporting to be from Rapid Despatch. 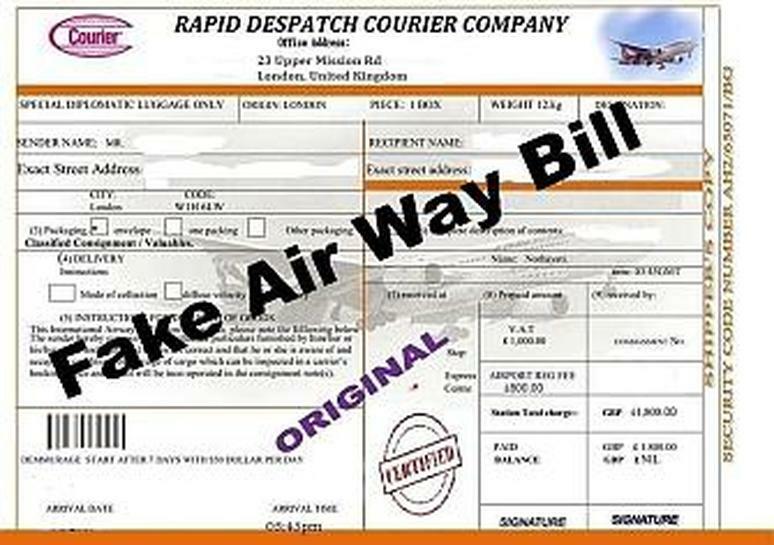 They are being incorrectly informed that they need to pay customs or other similar charges in order for a parcel to be released / delivered. If you receive one of these notifications it is almost certainly fraudlent! If you have any doubt over the legitimacy of any correspondence that appears to come from us please either ignore it or contact us if you require further clarification. 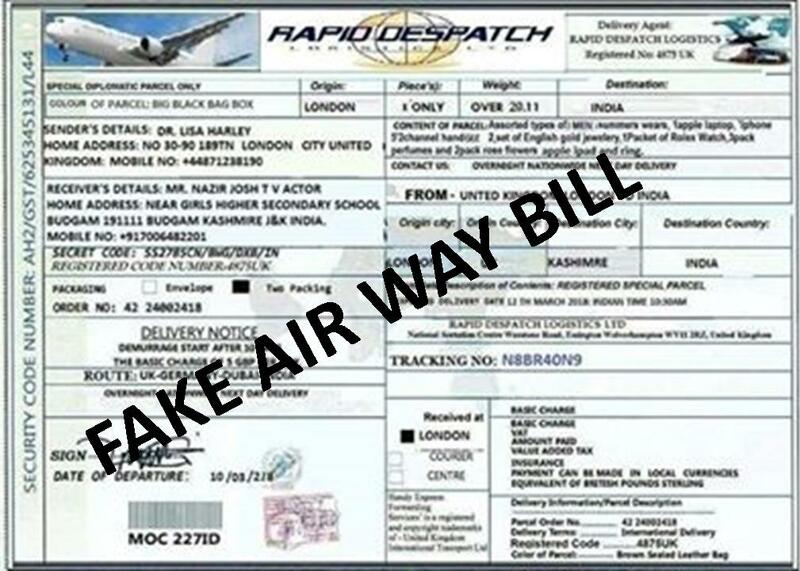 Below are FAKE air way bills that have NOT originated from us.